Alan Haber’s Pop Tunes is Tonight’s Top Spot for Top Tunes from Yesterday and Today! Tonight’s fourth edition of Pop Tunes, Alan Haber’s popular deejay show on Pure Pop Radio, is off and running at 9 pm ET (6 pm PT) with a whole lot of melodic pop lovin’, hooks galore, and catchy melodies that sing! Kicking off with a “hairy” blast from the past from the Cowsills, tonight’s show delivers a set of “beautiful” songs from such artists as the Rascals, Parthenon Huxley, and Pop 4. An extended set with five classic songs from Emitt Rhodes and artists that have covered his tunes is next; Emitt’s great cover of the Bee Gees’ “How Can You Mend a Broken Heart,” released last year on Record Store Day, is first out of the box. Pugwash leads a powerhouse pack of new and nearly-new songs now playing in rotation on Pure Pop Radio: Scot Sax and Susie Brown, the Universal Thump and Nick Piunti are also spinning in this set. 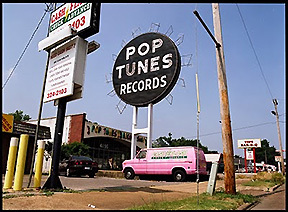 A set of songs that were playing when Pure Pop Radio first signed on three years ago is up next, featuring the catchy sounds of David Myhr, Phenomenal Cat, Fun of the Pier, and Graham Gouldman. 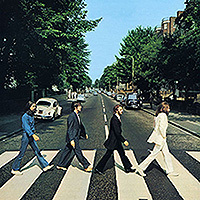 The weekly Beatle Blast, from Stackridge, and a blast from the past from Glen Campbell close out this edition of Pop Tunes. Alan hopes you’ll join him for another 75 minutes of the greatest melodic pop in the universe, topped with a healthy smattering of deejay patter! See you on the radio! Have we got a Fab week ahead for you? Indeed we do! 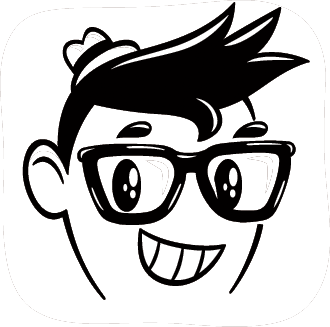 The very first edition of the syndicated version of Ken Michaels’ Every Little Thing airs again tonight on Pure Pop Radio at 8 pm ET (5 pm PT), and a new, information-packed entry in the ongoing weekly roundtable series, Things We Said Today, gets rolling this Thursday, September 3, at 8 pm ET (5 pm PT). Over on Things We Said Today this Thursday night, Ken, Beatles Examiner writer Steve Marinucci, Beatlefan editor Al Sussman, and musicologist Allan Kozinn take up the task of determining whether Paul McCartney’s current way of announcing upcoming tour dates–presenting them to the public a few dates at a time–is a valid course of action. The panel also talks about George Harrison’s Dark Horse album, questioning how good the songs are, discussing how successful George’s version of “Bye Bye Love” is, and wondering whether the quality of George’s voice is a factor for people listening. A new feature, tucked into the closing moments of Thursday night’s all-new program, is one during which panelists ask Beatles-related questions of each other. The answers may surprise, and will certainly delight, you! Things We Said Today is a weekly survey of all things Beatles that’s hosted by a quartet of Beatles experts–today’s Fab Four, if you will. 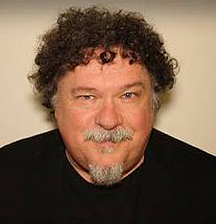 Ken Michaels, host of Every Little Thing, which airs Monday nights at 8 pm ET on Pure Pop Radio, is joined by Beatlefan Executive Editor Al Sussman, Steve Marinucci (Beatles Examiner), and Allan Kozinn, longtime music critic. Other well-known Beatles experts sometimes sit in with the core group. Things We Said Today airs on Thursday nights at 8 pm ET (5 pm PT). New releases, you will not be surprised to note, have once again been making their way into the sumptuous studios of Pure Pop Radio. We’re frankly up to our ears in catchy melodies and harmonious harmonies, which means we had better get to telling you about some of the latest adds to our ever-growing playlist, now nearly 7,500 songs strong. 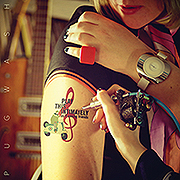 Pugwash | Play This Intimately (As If Among Friends) With this wonderfully-titled album, one of the most treasured melodic pop bands in the world is finally face to face with its first internationally released studio record, and what a gloriously lovely record it is. 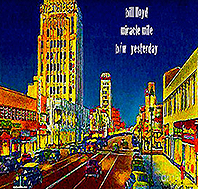 From the joyous, electric guitar-fueled, melodically-rich, blessed-with-a-surprising-psychedelically-charged-bridge “Kicking and Screaming” and the intoxicating, beautifully sung ballad “The Fool I Had Become” to the bouncy “Hung Myself Out to Dry” (with more than a hint of ELO in the background vocals) and the dramatic, Roy Orbison-styled emotional ballad “All the Way from Love” (which begins with a slowed down drum part, a la the always fashionable “Be My Baby”), it is readily apparent that this is the disc melodic pop fans will be spinning on constant repeat. Featuring guest turns from the likes of Ray Davies, Andy Partridge and, yes, Jeff Lynne, Play This Intimately (As If Among Friends) is without question Thomas Walsh and company’s finest hour, a hall-of-fame-worthy record, and one of this year’s best releases. We’re playing 10 of the 12 songs on offer, including “Kicking and Screaming,” “Lucky In Every Way,” “Feed His Heart With Coal,” “Just So You Know,” “The Fool I Had Become,” “You Could Always Cry,” “Hung Myself Out to Dry,” “Silly Love,” “Oh Happy Days,” and “All the Way from Love.” Quite the treasure. 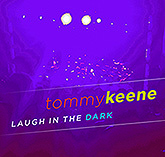 Tommy Keene | Laugh in the Dark A strong collection of tuneful medium- and fast-paced pop rockers, Laugh in the Dark announces itself as a top-flight release more than three decades after 1982’s Strange Alliance, which will come as no surprise to Keene fans. Is there a heritage artist that’s hitting the catchy song bullseye in a more spot-on fashion? This album has it all: the hard-hitting “Out of My Mind,” the tuneful toe-tapper “I Want It to be Over Now,” the acoustic-meets-slide charmer “Go Back Home,” and many more. We’re playing these three numbers in rotation, along with “Last of the Twilight Girls,” “All the Lights are Alive,” and “I Belong to You.” No surprise that this is another great Keene platter. 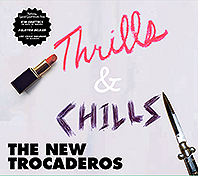 The New Trocaderos | Thrills and Chills Tough as nails, with a decidedly melodic pop heart, this meeting-of-the-musical minds between the Connection’s Brad Marino and Geoff Palmer and the equally dynamic Kurt Baker thrills, chills, rocks and pops–it’s an album that keeps listeners on their toes. Hitting hard with driving rockers one minute and softer, pop gems the next, this album never fails to delight. Of course, we’re primarily drawn to the less manic numbers like the mid-tempo delight “Crazy Little Fool” and the Byrdsian “Like an Angel,” but we also break out our air guitars for the early rock ‘n’ roll raver “Business to Tend To” and the Rolling Stones-inspired “I’m So Bad,” which rocks with this finely-honed quip: “Well the babysitter/Felt so bitter/Trashed my name/All over Twitter.” We’re playing the aforementioned modern-day classics, plus “She Don’t Know,” “Love Anymore,” and “Midnight Creep.” These songs will collectively shake your windows and rattle your walls. Absolutely essential. Don’t miss this one. The Allrightniks | Two Places at One Time Roanoke, Virginia’s own band of pop-rocksters brightens up the musical landscape with this new release that draws on influences far and wide. 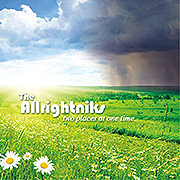 Meeting somewhere in the middle, the Allrightniks deliver an album’s worth of catchy songs that place strong melodies and hooks above all else. We’ve been playing this band for awhile; we’re happy to be able to add more songs of theirs to our playlist. Now playing in rotation: “Nice to Know,” “I Can’t Wait,” “The One,” “Vacation,” “You Can’t Be Right,” “Today is the Day,” and the title cut. Allright! 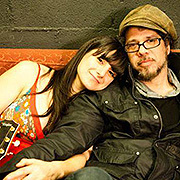 Scot Sax and Suzie Brown | Our Album Doesn’t Like You Either Instantly charming and inspiring, this husband and wife duo cook up an alluring stew of roots-pop, rock, country, gospel, and, yes, doo-wop that will be hard to resist when it comes time to tally up the winners in this year’s best-of sweepstakes. The airy, countrified “Heaven Forbid,” sung by Scot, bops along with more than a hint of Paul Simon from his There Goes Rhymin’ Simon days; the entrancing “Jury’s Still Out,” sung by Suzie, mixes country, gospel, pop and a dash of doo-wop; and the gorgeous ballad “Two Babies,” also sung by Suzie, bathes itself in the joy of contentment and love that family brings. These songs, and “Good Everything,” “I Could Write a Book,” and “Everybody’s Following their Dreams” are now playing in rotation. We love this album, and you will too. 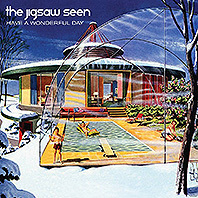 The Jigsaw Seen | “Have a Wonderful Day” For whatever reason, we’ve been remiss in reporting on the addition of this classic slab of rockified pop, drawn from a Cream-drenched well. So here we make amends: The Jigsaw Seen does it again, to no one’s surprise. Dig the lovely bridge, swimming in ’60s haze. Love, love, love it. 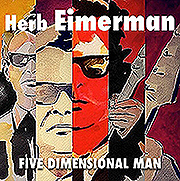 Herb Eimerman | Five Dimensional Man We’ve been playing the great Herb Eimerman’s music on Pure Pop Radio almost since the old, weekly show began in 1995. We instantly fell in love with his sweet, lyrical sound, and have frankly been in love with it ever since. Which is why we were thrilled to find that Herb has released a brand-new EP, produced by the equally great Joe Algeri. 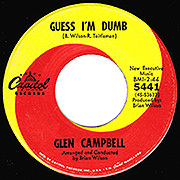 So greatness ensues and, to prove it, we’re playing four songs in rotation, like the gentle, Roger McGuinn-esque folk-pop of “Believe that I Do,” heard during last week’s Pop Tunes deejay show; and the fragile ballad, “Something.” Also spinning: “Live to Tell” and “Sentimental in Berlin.” Essential. Steve Somerset’s Shadow Kabinet | “The Acid Test” This delicious nugget, written by our old friend Steve Somerset and finished off on an upright piano in Birmingham, England, is a late-inning surprise. 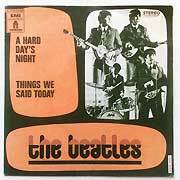 Steve sent his demo to ex-XTC man Dave Gregory, who created the gorgeous, Beatlesque arrangement. Cue Steve, who sang the lead and backing vocals and, voila, mission accomplished. This song sings; we’re proud to have it on our air. Top of the pops. 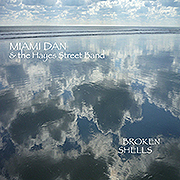 Miami Dan and the Hayes Street Band | “Broken Shells” This lovely song, which will be included on Miami Dan’s next album, is a gentle breeze of a tune with sweet lead and backing vocals and a beautiful melody. It’s the perfect song for the late summer, and we’ve got it playing in rotation. We’ve also added music that we’ll be reporting on next week, including nearly the entire new album from Dana Countryman (Pop 3! Welcome to My Time Warp! ); the lion’s share of a terrific album from Nick Bertling, recorded under the band name Bertling Noise Laboratories; a fun trip back to the ’80s from Dan Pavelich; and new songs from Jules Shear (“The Words”), the Bye Bye Blackbirds (“Let Your Hair Fall Down” and “These Blues”), Laurie Biagini (“Try Our Luck Today”), Clay Bell (“Mood Ring” and “The Weather in Our Way”), Prix (“Ordinary Life”), Tommy Lorente (“B.B. (Tu Me Plais Tant)” and “Un Certain Savoir Faire”), and Lee Gregory. Until then, enjoy the melodies and harmonies on Pure Pop Radio, the original 24-hour-a-day Internet radio station playing the greatest melodic pop music from the ’60s to today. Click on one of the listen links below to enjoy! Veteran music maker Bill Lloyd sits down with Alan Haber to talk about his new single on tonight’s brand-new edition of Pure Pop Radio: In Conversation. It’s another great hour of talk and tunes that you won’t want to miss. The fun begins at 7 pm ET (4 pm PT). On tonight’s show, Bill goes in-depth about the writing and recording of the new songs and how he chose the bonus tracks appearing on the CD-EP. During the hour, you’ll hear both “Yesterday” and “Miracle Mile,” as well as the one-of-a-kind experience that is “Today’s Soundtrack.” It’s the kind of musical back-and-forth you’ve come to expect from Pure Pop Radio: In Conversation. Pure Pop Radio: In Conversation, the premiere melodic pop interview program hosted by Alan Haber, airs Tuesday nights at 7 pm ET (4 pm PT) and repeats on Sunday afternoons at 5 pm ET (2 pm PT). Tonight’s Pop Tunes Deejay Show is Packed With Melodic Pop Goodness! A new edition of Pure Pop Radio’s popular Pop Tunes deejay show, hosted by Alan Haber, hits the airwaves tonight at 9 pm ET (6 pm PT). On tap is just over an hour’s worth of melodic pop goodness that you won’t want to miss. 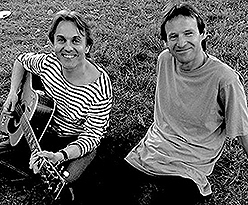 Tonight’s show kicks off with a popping set of glorious a cappella and just-about-a cappella tracks from Jamie and Steve, the Housemartins, the Mighty Echoes (featuring the Rubinoos’ Jon Rubin), Prelude and Todd Rundgren. Next up: a set of old-fashioned-sounding numbers from Klaatu, the Beatles and Muller and Patton. But wait…there’s more! As always, new music is a big part of Pop Tunes. Alan serves up two sets of new songs now playing in rotation on Pure Pop Radio. 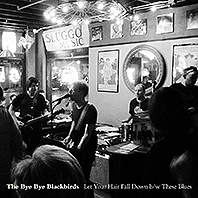 Listen for the latest from Dana Countryman, the New Trocaderos, Herb Eimerman, the Bye Bye Blackbirds, Jules Shear, Laurie Biagini and many more of your favorite melodic pop artists. 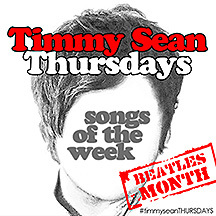 Also ready to roll on tonight’s show is this week’s Beatle Blast. What else does Alan have in store? 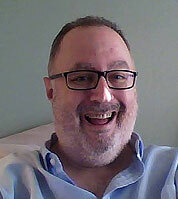 Tune in tonight at 9 pm ET (6 pm PT) for Pop Tunes, hosted by your number one deejay, Alan Haber!